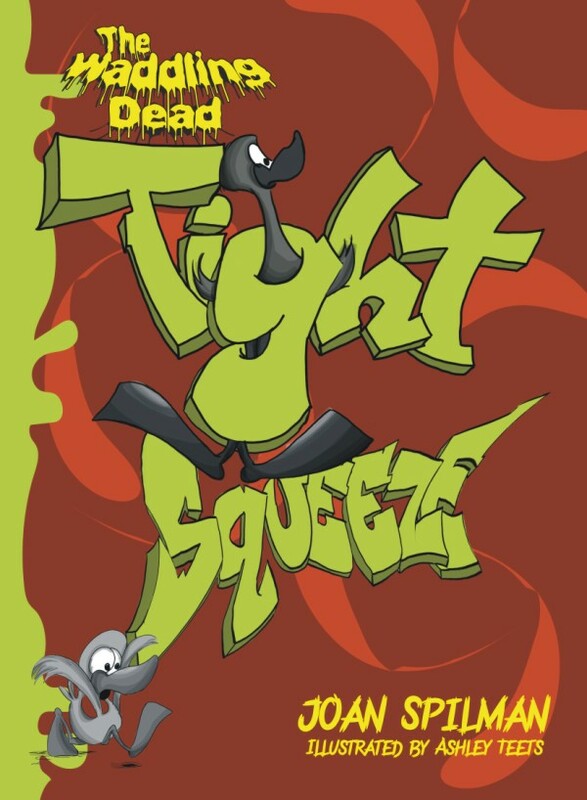 Grab your crayons and splash into the world of the zombie ducks, the zaniest series for young zombie lovers of all time. Grab your crayons and splash into the world of the zombie ducks, the zaniest series for young zombie lovers of all time. 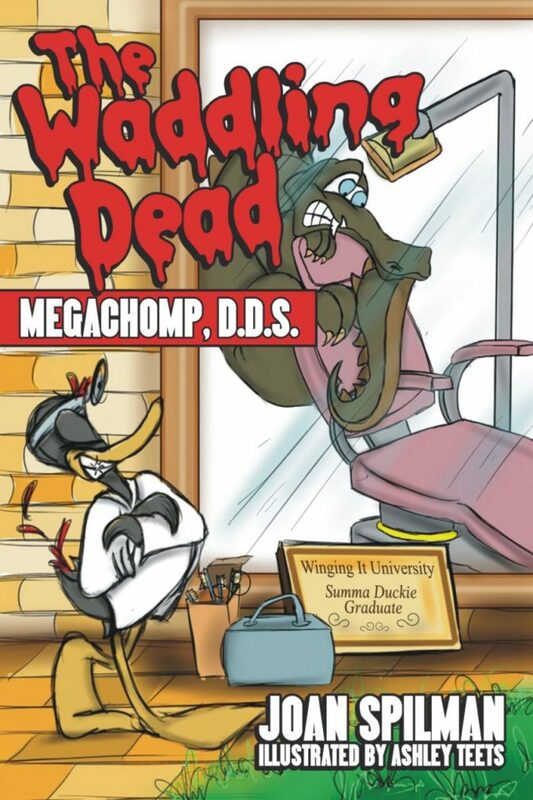 With text highlights by Joan Spilman and delightful illustrations by artist Ashley Teets, children will fall in love with the story of Megachomp, D.D.S., the first duck dentist. But, beware! This book holds not only coloring pages, but activities, a Dr. 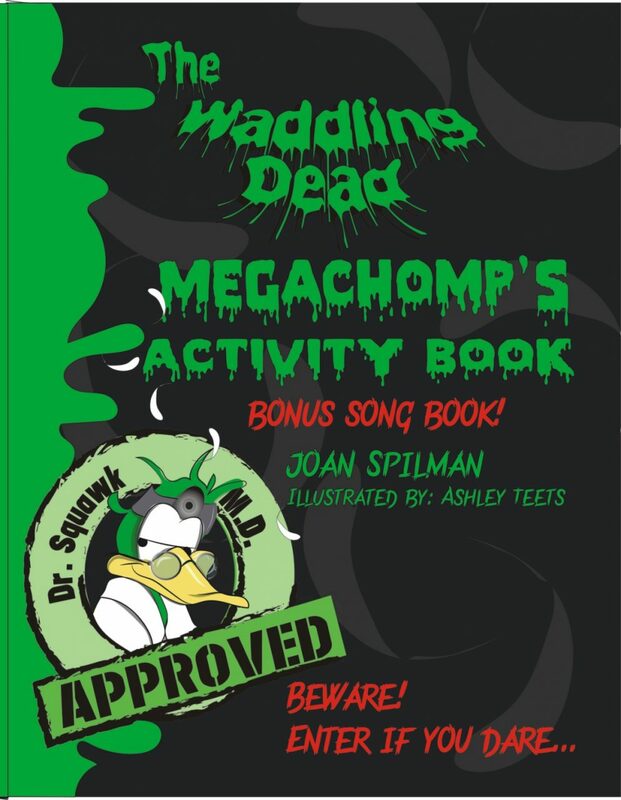 Squawk advice column, and a zombie songbook for the beginning piano student. Titles range from “What Do You Do When a Zombie Loves You?” to “We Are the Zombie Ducks!” composed by Janet Heck. So jump in webfeet-first, and don’t forget to write to Dr. Squawk! Between treating zombie mishaps, he does answer mail!